In 1999, THE BLAIR WITCH PROJECT was released and went on to gross almost 250 million dollars worldwide on a mere $60,000 budget (IMDB). Now, almost 20 years later, writer, director, actor, producer, editor and self-proclaimed “hit maker” Jacob Lewis teams with Terror Films to bring you the laziest excuse for a found footage film you will ever bear witness too, THE CLAIRE WIZARD THESIS. 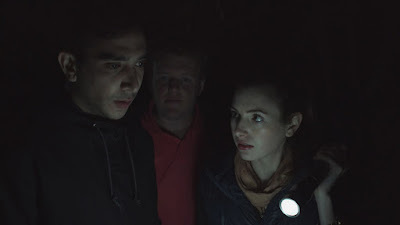 The brainchild of Australian based actor and writer Ishak Issa, THE CLAIRE WIZARD THESIS is a comedy horror spoof. The film follows a group of actors and crew into the Australian outback, led by aspiring filmmaker and ego-maniac Jacob Lewis. Lewis’ plan is to make his own version of the 1999 hit, with dreams of becoming the next big Hollywood director. There is only one problem - he has no idea what he’s doing and neither does any of the cast or crew. The film hosts an up-and-coming cast. The film stars Alex Dona as the pompous Jacob along with James Mitry as Jacob’s pissed off brother. His brother is shooting the behind-the-scenes footage. Meanwhile, Rose Marel as Lucy is literally doing 10 crew jobs. As well, Tim Love is the overly eager show tunes singing extra and model and influencer Krystal Lenkova (January 2016 Playmate of the Month) is the diva leading lady. The cast also features Fury Glanville, Will Averill, Georgina Neville, Shaun Robert Foley and Issa. Issa is a model, who can barely speak English, let alone act. This title marks Issa’s directorial feature film debut. The film was nominated for several awards. THE CLAIRE WiZARD THESIS was nominated for a Jury Award for “Best Screenplay,” as well as “Best Editing” and “Best Actor (Alex Dona).” The film went onto win the Jury Award for “Best Foreign Feature” at the Macabre Faire Film Festival. 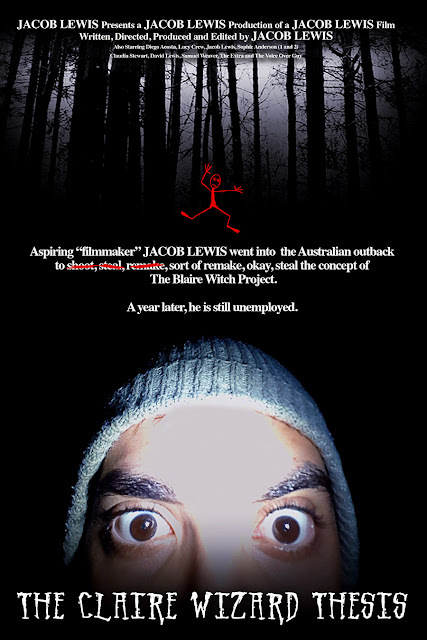 Jacob Lewis claims the film was also accepted into Sundance, TIFF, Berlin, Cannes, Tribeca and the SXSW Film Festivals? However, Terror Films was unable to verify these claims. Although a difficult decision due to Lewis’ glowing yet grossly misguided hype of the film's pre-ordained success, Terror Films opted to forego a 4000 screen theatrical release. Instead, the film will release across digital platforms on 29th June 2018. The film will become available on: Amazon Prime, iTunes, VUDU and Tubi TV in multiple countries. This release will be followed by another on the Australian based platform OZFlix with additional platforms and a DVD release set for a later date.